Home Microsoft Software Inventory Licensing Aggregator – Is Microsoft license management giving you a headache? The most common question I have been asked, “How do we track Microsoft licenses in our environment?” From Service Providers who deploy Microsoft licensing on demand with the Microsoft SPLA program. It is a common misunderstanding of what needs to be reported and more so how to track the consumption of the licenses. In September 2015, Microsoft released Software Inventory Logging Aggregator. Software Inventory Logging Aggregator can be deployed in a data centre, to help track and manage Microsoft license consumption. Whilst still in it’s infancy, the product relies on a Windows Feature, Software Inventory Logging, to upload the license data to the aggregator on a schedule. Data is stored in a SQL database, and SILA (Software Inventory Logging Aggregator) is configured using Windows Powershell cmdlets. SIL (Software Inventory Logging) and the SIL Aggregator rely on SSL certificates for authenticated communication. Data can be exported monthly to an excel spreadsheet, for reporting and/or compliance purposes. I found SILA to be a useful tool to bring awareness and license tracking to data centre environments. Deployment can be a little tedious with SSL certificates. Once configured correctly it is seamless to produce the required data for reporting/compliance purposes. license management, microsoft spla, software inventory logging aggregator. Bookmark. It seems that not many people have setup SIL successfully and blog about it. I just try to but fail transferring data to the aggregator. I am using a self-signed certificate, dont know if this is the problem. Any hints, tipps, tricks you experienced and want to share with me ? 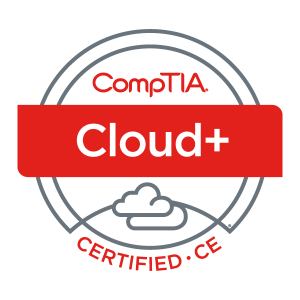 Thanks in advance / R.
I had some issues with self signed certificates myself – i think moved to a full ca environment which i got SIL working with. I will find some time to test more with self signed certificates and see if i can produce a follow up article with some tips and tricks for you. Hi, I am attempting to test the SIL tool, but having the aggregator point to the physical host itself is turning out to be a security concern. Is there no way to configure the aggregator to pull the SIL data directly from the VMs? Why? If the host and VM is yours? This a duty of the owner of that host, so he has to provide these reports anyway. Thank you, I am testing this in a lab and the admins I am working with took issue with this point. Good to know this will not be an issue in a Production environment. Setting up a CA is not a trivial matter. If system requires that, MS needs to be more upfront about that or include some ability to use self-signed certs. The fact they are forcing folks to use this in order to claim Core Grants for Server 2016 is just nuts. There has to be an easier way for us as admins to get them the info. I have recently been running some tests with the SIL tool. After some review, I have discovered the reporting is of the processor count in HyperV Hosts is wrong. A Host with CPU setup of 4 x 8 with hyper-threading shows as 64 processor count. For licensing purposes, it should only count as 32. Since for licensing purposes, you should not have to license the 32 virtual processors created by hyper-threading. If my company follows SIL, the MS OS Licensing cost will be nearly double what it should be.